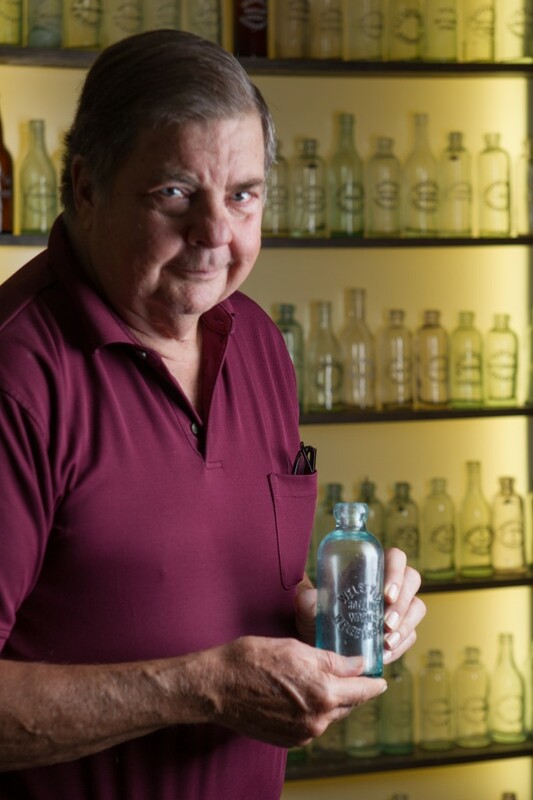 “I’ve always collected stuff,” says Johnnie Fletcher, a Mustang resident and founder of the Oklahoma Territory Bottle and Relic Club, whose members travel throughout the state and beyond, digging up artifacts of the American West with a pioneer spirit all their own. Utilizing a combination of historical maps and modern probes, Fletcher and his colleagues locate houses from pre-statehood days and obtain permission to dig a few feet into the ground where the outhouses once stood. Outhouses are the loci of refuse, including plenty of discarded physical objects. The strategy has worked surprisingly well over the years, Fletcher says. “We’re pretty good salespeople when it comes to getting permission,” he says. In fact, he has met with the threat of physical violence only once, and that was from a renter in Kansas who stated his willingness to “bust a cap” on the friendly collectors. Homeowners, however, generally react positively to the results of a dig and with getting to keep some of the historic treasures uncovered in exchange for allowing access to their property. Johnnie Fletcher is an expert on old oklahoma bottles. Right: Fletcher proudly displays his collection on shelves in his garage. 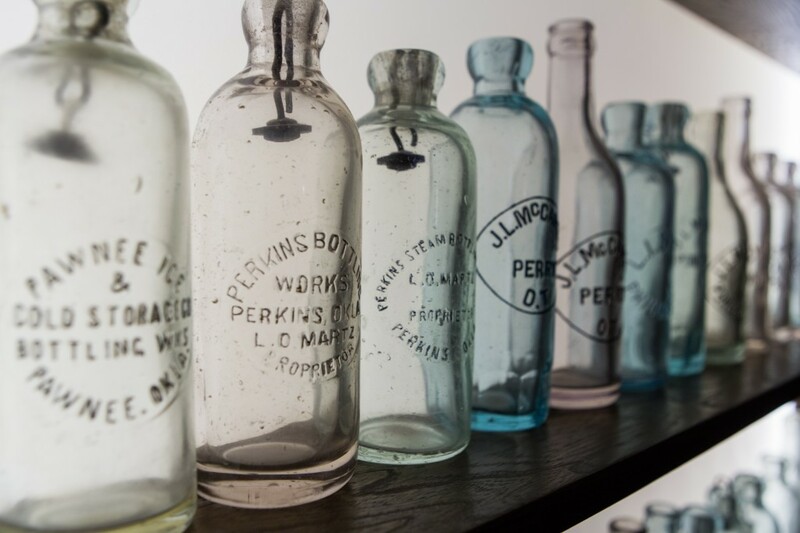 While Fletcher’s efforts have taken him as far afield as New Orleans and yielded things as random as wooden bowling balls, his area of focus is pre-1907 Oklahoma bottles. For this was a land of Indian tribes and boomers and – once a town became big enough – bottling works. 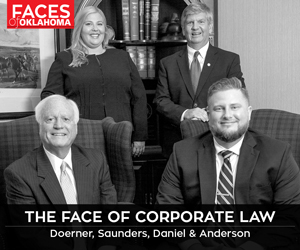 The “I.T.” stands for Indian Territory, where it all began, not just for Oklahoma but for Fletcher, whose yen for collecting can be traced back to his childhood on a farm about 15 miles from Hinton, where he would walk for miles in search of American Indian arrowheads. After a career that included stints in the Navy, with the police and ownership of an alarm company, Fletcher’s love for state history and the “Go West” era shines brighter than ever.